Happy July, friends! As you may already know our Greece is undergoing a serious crisis and we are facing huge problems as a country. Things are tough and we just hope the situation will get better because we have suffered a lot these past few years. Let’s cook now and try to be optimistic and think pink! 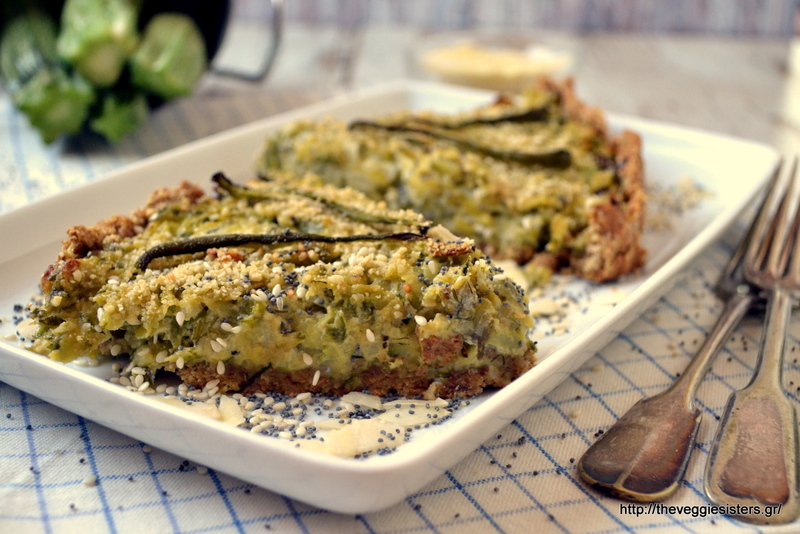 Our garden gives us a lot of zucchini lately, so I keep searching for ways to use them. 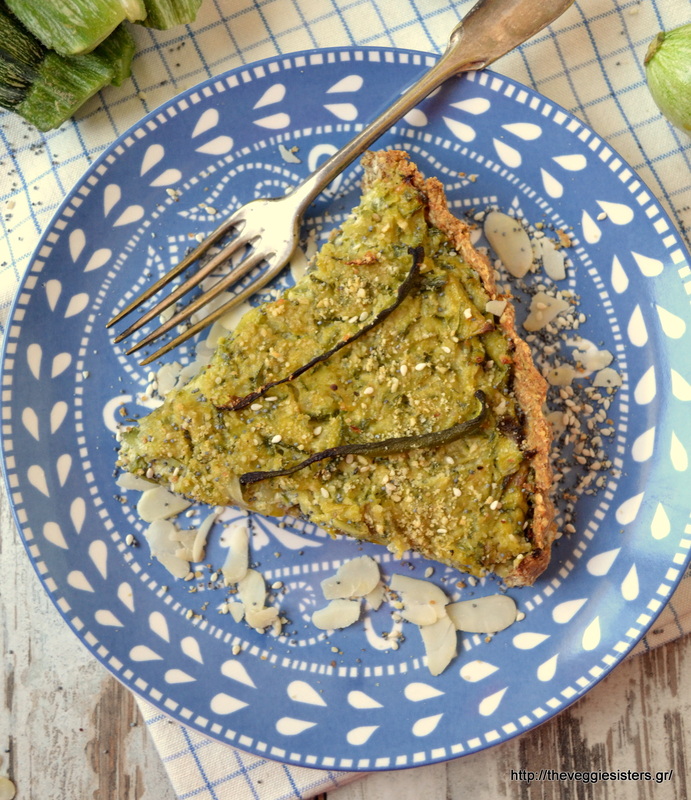 I made a vegan tart and it was amazing. No need to use dairy cheese, butter, eggs. My taste tester enjoyed it and said it was absolutely mouthwatering! Filling, light, healthy, yummmy! This was my third attempt of making a vegan savoury tart (the first was my vegan mushroom leek tart and my second was my vegan cherry tomato red pepper pesto tart) and I am now 100% sure that vegan tarts are amazing! For the crust click here. In a non sticking pan cook zucchini with onion, garlic, peppers and dill over medium heat until all liquid is evaporated. Season with salt and pepper and pour 2 Tbsp olive oil. Remove from heat and allow to cool. In a blender pulse tofu with 1 Tbsp olive oil, nutritional yeast, almonds, salt and pepper until well combined. Combine the tofu mixture with the cooled zucchini mixture. Lay the filling on the crust, top with vegan grated cheese and pepper slices. Bake in preheated oven at 180C for about 45-55 minutes. Remove from the oven and allow to cool before serving so that it sets, so be patient! Enjoy! 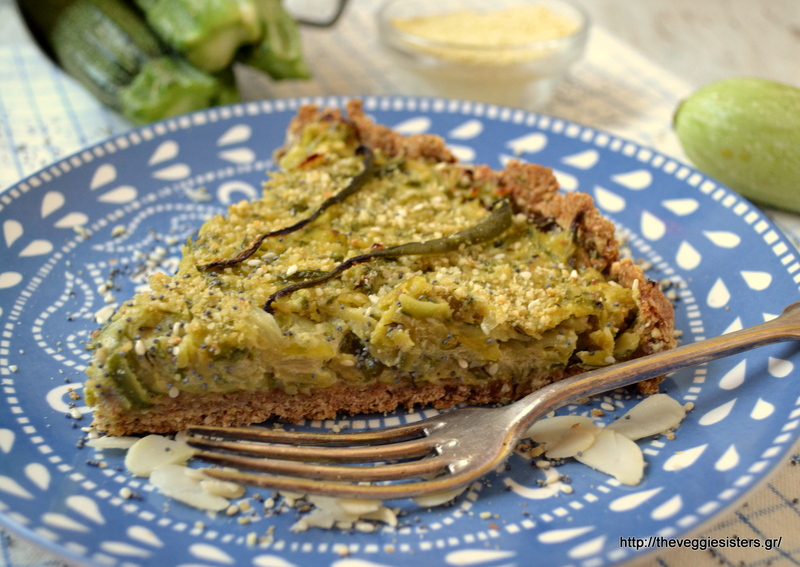 Share the post "Vegan zucchini tart"